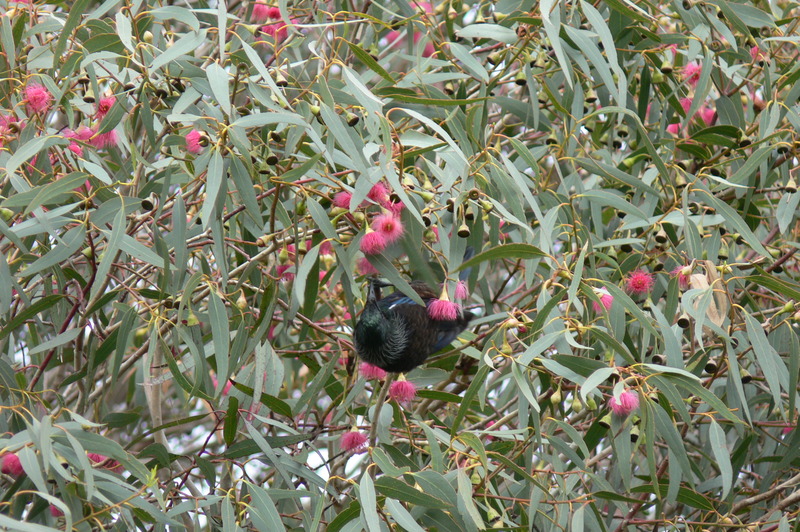 While kowhais are probably the showiest nectar tree flowering at the moment they are certainly not the only ones attracting the attention of tuis. At Shakespear Park last week there was a hive of activity in the karo (coastal pittosporum) and in one stray flowering gum. 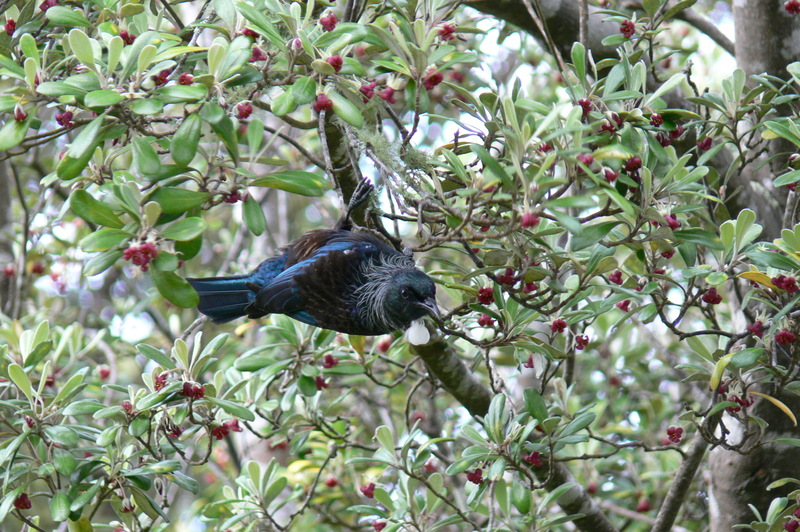 At Tawharanui bellbirds are into the karo too. 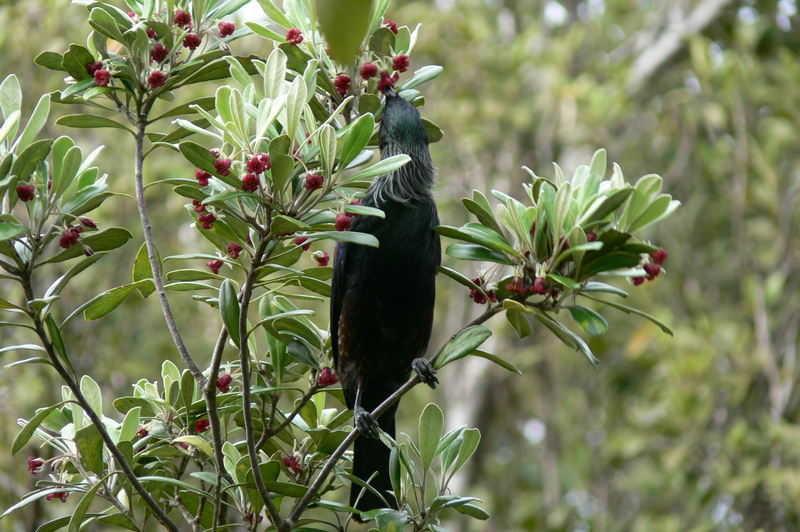 This entry was posted in Uncategorized and tagged New Zealand, Pittosporum, tui on October 1, 2015 by Richard Chambers.